UNITED NATIONS, Mar 23 2017 (IPS) - A delegation of Libyan tribal leaders and women leaders has called on the UN to take a balanced approach to the Libyan peace process. The delegation from the National Movement for Libya (NML) met with UN officials and U.S. government representatives while visiting New York and Washington D.C. to discuss the UN-led peace process in Libya. “We don’t have a state, we don’t really have a government to control everything. The whole institution has collapsed after 2011,” said Libya Institute for Advanced Studies’ Head of the Mediation Department Ali Masoud to IPS. “The only thing to help people find a solution and help peace-building is the tribal leaders or community leaders,” he continued. Despite a UN-brokered peace deal known as the Libyan Political Agreement (LPA) in 2015, which established the internationally-backed unity government headed by Fayez al-Sarraj, armed factions have continued to battle for control over the oil-rich nation. Most recently, pro-unity government armed forces expanded their control in the capital of Tripoli, fighting rival militias including groups allied with former Prime Minister Khalifa Ghweli. Ghweli was ousted from power when al-Sarraj’s Government of National Accord (GNA) took office and has refused to recognize the new administration, instead forming his own Government of National Salvation (GNS). Khalifa Haftar, who leads troops for a third rival government in the Eastern region of the country, also opposes the UN-backed GNA but has focused on battling Islamist militias including the al-Qaeda-linked Ansar Al-Sharia and Islamic State (ISIS). His Libyan National Army (LNA) recently recaptured major oil ports from militias. The NML was formed to address the country’s complex conflicts and engage in reconciliation efforts. However, community leaders have been left out of the peace process. “[The UN] has carried on with the political track with politicians who are really not representative of the Libyan people,” Masoud told IPS. “They failed to start the tribal track which is really very important to engage tribes in Libya where they feel they own this political agreement and own the [dialogue] process,” he continued, adding that the dialogues stopped inviting tribal leaders as they were hosted outside of Libya. Another NML representative Nour Elayoun Mohamed Abdul Ati Alobeidi highlighted the role that women have played in mediation, pointing to a case in the southern Libyan town of Ubari where Tuareg and Tebu tribes have clashed. “In that war, men tried to mediate to stop the fire, but it was only when women decided to build a mobile tent in the middle of the shooting—only then the war stopped immediately because of those brave women who initiated this even though it was risky but they weren’t scared because they wanted the war to stop,” she told IPS. Alobeidi said that tent was established to bring together the two sides to have a dialogue. “This led both sides of women to understand that their pain is the same. 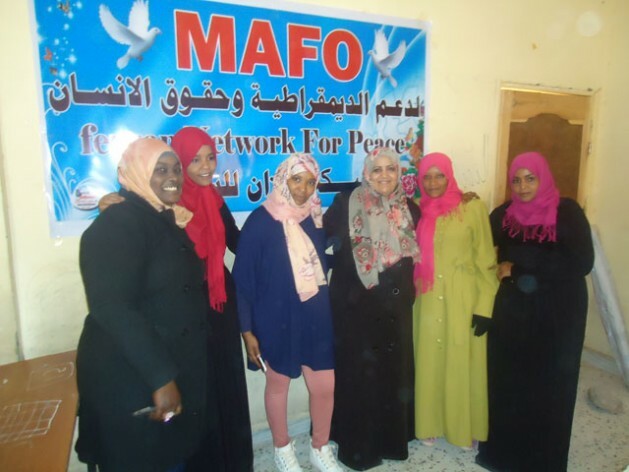 And those women, the same women who were against each other, helped in bringing peace back to the Ubari area,” she continued. Masoud and Alobeidi called on the inclusion of community leaders to create a National Charter that represents and ensures the rights of all Libyans. “There is no national charter, no constitution, no surveys to understand what Libyan people demand, what they would like exactly, and what kind of a system they hope to have after this era of dictatorship,” Masoud told IPS. They believe that creating a National Charter is essential before holding elections in order to help unite Libyans. They also called on the international community to support inclusive tribal and political tracks that focus on building institutions rather than on one person or politician. “All these tracks should feed each other, and when a national agreement is reached, then we will shrink the power of these politicians–they will have no space for violence, only the vision of Libyans that they should rely on,” Masoud told IPS. The NML consists of tribal groups that both supported and opposed Gaddafi during the 2011 revolution. The delegation of tribal and women leaders was sponsored by the Network for Religious and Traditional Peacemakers and the Libya Institute for Advanced Studies, with the support of Finn Church Aid. Clearly the middle rules the society. Sarraj may be a political leader and Haftar may be the man to bring stability, but these women get it. They are the People. The ones who choose how much security is required and how much freedom should be granted. The swing voters decide the direction of a nation. From election to election they side with whom they feel is the corrective ideology to balance the society. It helps if legislature and chief executive have alternating elections so one ideology doesn’t sweep both institutions in a single election. This dampens the swings and requires less force to maintain stability. More women in government leads to a higher average IQ too.